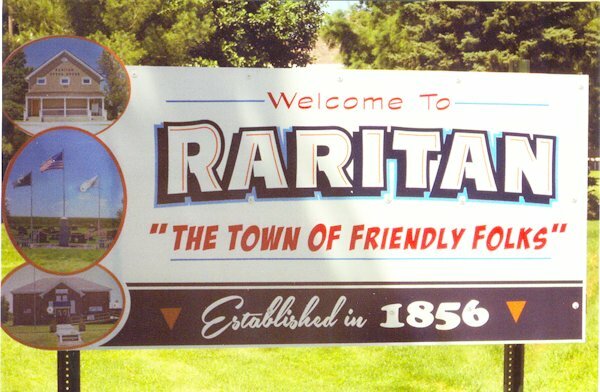 This summer, new "Welcome to Raritan" signs were placed at the entrances to town, by the members of the village board. The three photos on the sign, show the historic Opera House, the Raritan Veterans Memorial and the Henderson County Museum. The signs were paid for from funds of Raritan's past celebrations and sales of history and cook books.